Meet your heroes at the 2019 Heart of Midlothian Calendar signing. This year’s calendar signing event will take place on Tuesday, November 27th in the Gorgie Suite. Doors for the event will open at 6pm and close at 7pm, fans should ensure they are in the queue by 7pm to avoid disappointment. 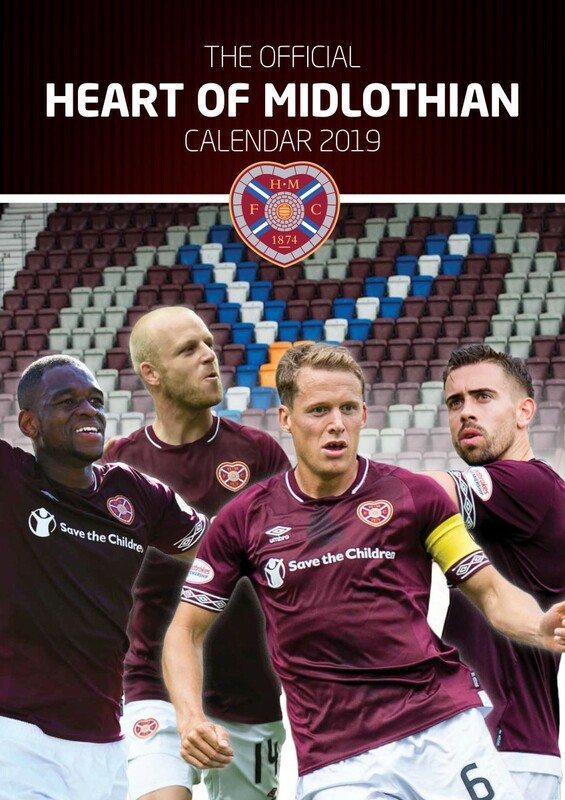 The 2019 Heart of Midlothian Calendar is available to buy now from the Hearts Clubstore and online at Hearts Direct. On purchasing the calendar, fans will receive a ticket which will admit a maximum of two people into the event. Please note that only ticket holders will be admitted. When purchasing online, tickets will be sent out along with your 2019 Calendar. The Clubstore will be open until 8pm on the evening. Please note due to the popularity of this event, only calendars will be signed. Head to Hearts Direct to purchase the 2018 Heart of Midlothian Calendar now.